This is America, but not like you know it. Years after the decimation of the male population by a super-virus, the country has refashioned itself with new laws, new customs, and new methods of shame and punishment. Now, hiding a living and healthy male is one of the gravest offenses, rivaled only by the murder of a man. Cole is a mother on the run, guilty of both crimes, and desperate to find a safe life for her adolescent boy Miles. As the two drift throughout the transformed states of the West, they hide Miles’ identity while evading a mysterious, powerful man bent on justice. From a commune in the Rockies to a high security laboratory in the redwoods of northern California, the two tensely negotiate an existence on the fringes of a new America. Cole’s goal for her son and herself is escape, a family in South Africa, a slim chance at a better life. Mother and child see their chance, at last, in the wanderings and secret goals of a cult–if only Cole can keep Miles’ true self hidden, and as long as they can stay one step ahead of an ex-boyfriend from hell. 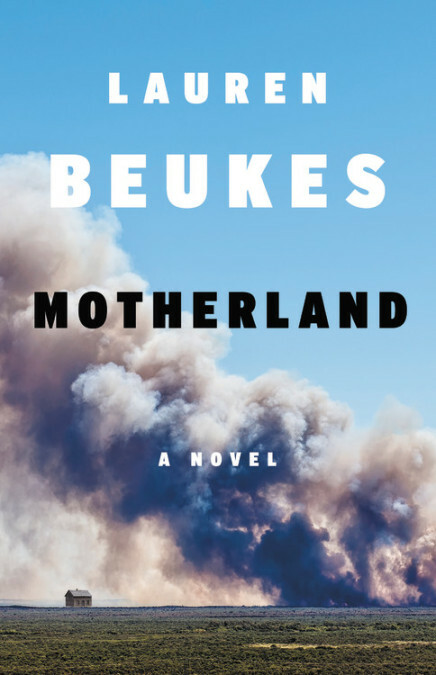 A brilliant blend of psychological suspense, American noir, and trenchant science fiction, MOTHERLAND is the story that Lauren Beukes’ myriad fans have been waiting for. Why We Want It: One thing I am continually drawn to in literature is dystopia and feminist dystopia. Beukes has already built a reputation of excellence. The Shining Girls and Broken Monsters were exceptional and I am ready for the Beukes' next novel. Why We Want It: Amberlough was an exciting debut and Armistice was an excellent continuation of that story, though perhaps not the one I expected. 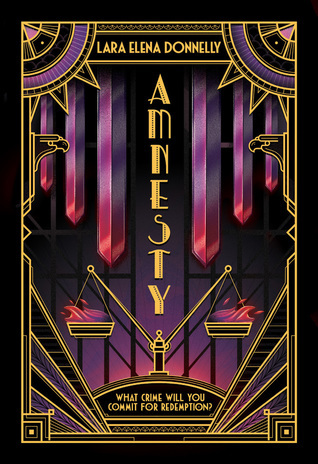 Donnelly's art deco infused espionage thrillers set during the rise of an empire with strong Nazi overtones permeating everything, is outstanding and, not to continue to quote the publisher's description, legitimately heartbreaking. I want to see how this all ends. 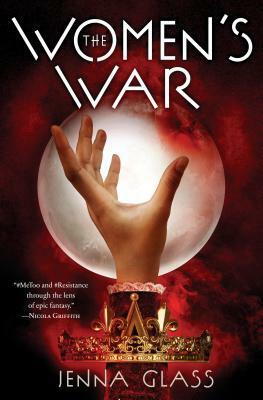 Why We Want It: I'm down for a feminist epic fantasy. I've seen reviews discussing how it feels like more of an 1980's feminist epic fantasy that doesn't quite reach the heights of those novels, but I still want to check this one out. Why We Want It: The Dazzle of Day is part of Saga's republication of three of Gloss's novels and is the only one I had previously read. 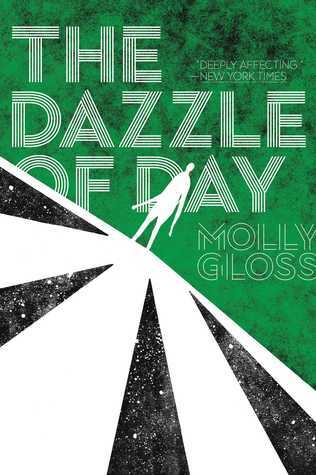 I mentioned it as part of a list of mostly overlooked novels and I'm glad that this re-release should give The Dazzle of Day and Molly Gloss some extra attention. This one is really good. Hugo Award winner Emma Newman returns to the captivating Planetfall universe with a novel about vengeance and the lengths to which one will go to save the future of humanity. Six months after she left, Dee is struggling to manage her rage toward the people who ordered the nuclear strike that destroyed Earth. She’s trying to find those responsible, but she’s not getting very far alone. A dedicated gamer, Dee is endeavoring to discover a mersive good enough to enable her to escape her trauma. When she is approached by a designer who asks her to play test his new game, she hopes it will be what she needs—but it isn’t like any mersive she’s played before. When a man suddenly dies in the real world, she realizes that at the same time in the game, she killed a character who bears a striking resemblance to the dead man—a man she discovers was one of those responsible for the death of millions on Earth. Disturbed, but thinking it must be a coincidence, Dee continues the hunt for information. But when she finds out the plans for the future colony, she realizes that to save what is left of humanity, she might have to do something that risks what remains of her own. Why We Want It: Emma Newman's Planetfall was excellent and I've heard nothing but praise for Before Mars and After Atlas (which I haven't read), but I had access to an advanced copy of Atlas Alone. 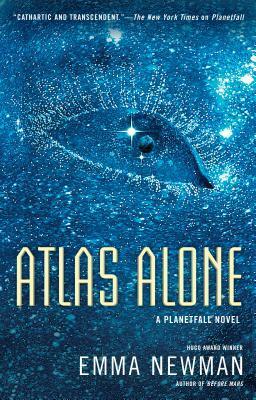 As good as Planetfall was (and it was plenty good), Atlas Alone is Newman raising the bar, leveling up, and telling a story that I did not want to put down. Having a cursory knowledge of the larger Planetfall universe is helpful, but unnecessary. Look for this. Read it when you find. Why We Want It: Paul said Trail of Lightning was pretty great and I completely agree. If Roanhorse had not already won all of the awards for her story "Welcome to Your Authentic Indian Experience" (including the Campbell for Best New Writer), Trail of Lightning would be the announcement of a major new voice. It still is, and it is also confirmation that Roanhorse is as good as everyone thought she was, and she can do it at novel length. 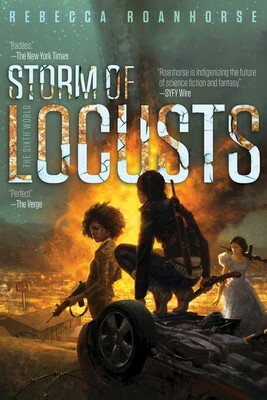 Storm of Locusts is Roanhorse's follow up novel and it is sure to be a must read.